In addition to doing their part for the planet, modern companies can realize a host of benefits when they work to make their supply chains environmentally friendly. Here are some ways to get it done. Sending freight in full container loads (FCLs) is an ideal way to green your supply chain and improve efficiency. Compared with sending out less than container loads (LCLs), FCLs strike a better balance between carbon emissions and delivery speed. Your manufacturing or supply chain company could end up dispatching multiple LCLs when just one FCL could get the job done. As with choosing ocean freight over air, this might be a change that’s harder to make for some companies than others. In cases like this, you want to reduce your carbon footprint without disrupting the rhythm or flow of your business too much. Look for a buyers consolidation option. A freight forwarder that offers buyers consolidation will combine your freight with that from other vendors to achieve an FCL. It’s like carpooling for freight. This is an effective way to keep some green in your pocket — and to make your supply chain operations cleaner and greener as well. Not all shipment methods are equal when it comes to their carbon footprint. 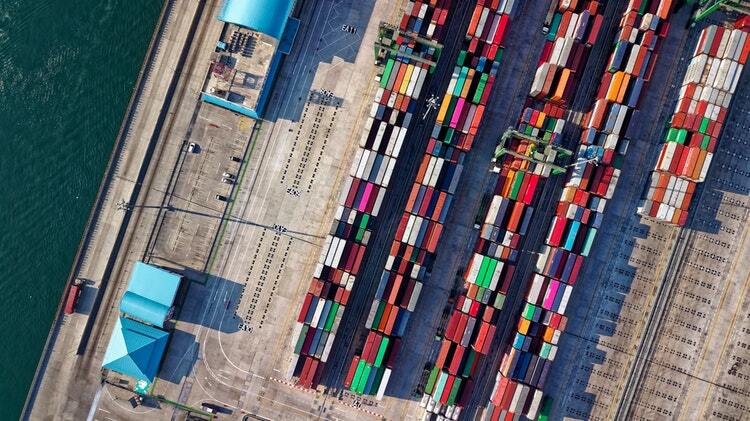 As a case study, the World Shipping Council conducted research to see which way produced a greater carbon footprint: trucking a shipment of goods from Dallas to Long Beach (1,500 miles) or transporting the same goods by sea from Australia to Long Beach instead (8,000 miles). The results demonstrated that despite the longer distance, ocean freight produced far fewer carbon emissions. The difference was more significant when compared with air freight, which produces as many as 50 times the carbon emissions than sending the same shipment via waterways. Depending on where you’re situated, this is a change worth considering if you regularly engage in long-distance commerce. It could yield other cost- and energy-saving benefits, too. Moving freight by air requires more temperature intervention than other methods, including ocean freight. Even if you can’t switch to ocean freight, reducing air transit time is a positive step to take. There’s a unique and universal pleasure in opening attractive, elaborate or deluxe-looking packaging. The right box or container can even upstage the product within. However, the supply chain world saw a shift recently in how consumers and companies think about packaging. Striking the right balance between appearance, convenience and sustainability, can be an ally in your efforts to green your supply chain. First, consider the weight of your packaging. Every extra fraction of an ounce adds up and contributes to fuel expenses. Ornamentation should take a backseat to practicality. Amazon.com’s “hassle-free packaging” balances ease-of-use with clean design and reduced material use. Second, consider the packaging material’s footprint, and not just the product within. Seek shipping cartons made from recyclable or biodegradable materials whose designers had environmental impact in mind. Even the pallets in your storage and warehousing processes represent an opportunity to take your sustainability to another level. Do you want wooden or plastic pallets for transporting goods? Successfully matching your pallets to your product type could reduce ongoing costs as well as your carbon footprint. Wooden pallets can be repaired, but they also damage more easily in certain supply chains. Plastic pallets are more expensive, but can last far longer than wooden ones, don’t harbor contaminants as frequently and can be recycled at the end of their life. Supply chain operators should watch for next-generation alternatives for both of these, too — including hemp plastic pallets. This controversial plant is coming into vogue again throughout the world and presents many compelling potential uses. The idea of a carbon tax gained steam in the last few years as an important intermediate step in decarbonizing our businesses and supply chains. Consumers have had the option to add carbon offsets to certain purchases, and under a UN agreement, international airlines will have to offset their carbon emissions beginning in 2021. The not-so-distant future might see the implementation of a mandatory carbon tax or offset program for various types of businesses. This is a stopgap measure, but it’s an attractive one for supply chain companies looking to green their processes. You can make sure your business is ahead of the curve by buying carbon offsets from vetted and established third parties — and enjoy potential tax incentives and good PR, besides. Surveys throughout the years have confirmed that consumers are willing to pay a little more for goods and services that are cleaner and more sustainable than the competition. As it turns out, your supply chain is a great place to begin making Earth-friendly as well as consumer-friendly changes. 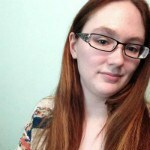 Megan Ray Nichols is a freelance technical writer and the editor of Schooled By Science. She writes regularly for sites like IMPO Magazine and American Machinist. Keep in touch with Megan by following her on Twitter or subscribing to her blog.